"Hey... Can you keep it down? 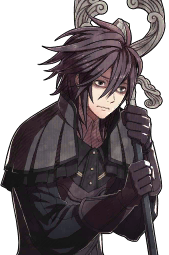 I'm trying to get some rest here..."
ORIENTATION: Homosexual, but also too tired to go after anyone. HEIGHT AND BUILD: 5'9", he has a slight hunch because he slouches a lot, kind of lanky. He usually had messy black hair, with faintest traces of grey at the roots. His salt and pepper hair thankfully isn't too noticeable for the most part, and he rarely if ever brings it up. He's a bit lanky and pale despite his attempts to bulk up and get out more. He also has noticeable bags under his eyes due to his light sleeping, and always seems to appear more gaunt and tired than he should. He doesn't have great posture, but he does his best to sit up and look presentable when he needs to. His clothes are usually plain, and leans towards darker colors due to poor body circulation and desire for heat. Theo, despite his messy appearance, is quite good at keeping himself clean and does not enjoy getting dirty for the sake of getting dirty. His clothes are also covered in stitches, as he prefers to repair them himself, as much as possible. Theo is a hard worker, but also doesn't particularly like to work hard. He will cut corners if it means that the job will get done fast, but not if it will cause danger to anyone but himself. However, if he is passionate about a project or topic, he will research or practice it endlessly. He's knowledgeable about all manner of subjects, though only in topics he finds interesting. For example, he knows how to cook three dishes he enjoys, but couldn't tell you the name of all the Weyrwomen or significant leaders who came before Tuckal. He also isn't the biggest team player. Theo's more than willing to take orders and work with others, but he also does his best work when left to his own devices. It's not that he can't follow directions, he just sometimes doesn't understand why things are done the way they are. He might even go as far as question whoever is giving him the orders before he even starts the task. His ideal job would be a scouting job or even one as a Searchrider, since it would allow him to be on his own while still benefiting the Weyr. Theo views inter-weyr politics with a disdainful but critical eye. He pays attention to current events and interesting happenings around the Weyrs, but otherwise doesn't really care about the people in leadership. He himself would loathe to be in charge of anything or anyone, since he works at his own pace and on his own time. His views on dragons and other Pernian fauna are ones of mild interest and quiet scientific observation. He has always wanted a dragon, mostly because he wants someone to please share his train of thoughts and understand him. Theo is unremarkable in most ways. He's always been at Fort Weyr. 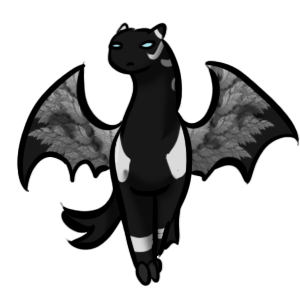 Ever since he was a baby, he's lived in the Weyr and grew up around dragons and weyrlings and riders. He was inundated in rider culture since as long as he can recall. It was only natural he wanted to be one as he grew. However, once he was the acceptable age for Candidacy, he found that it was a lot harder than he anticipated. He studied hard, and found the world was so much bigger than the Fort. But with that discovery was the desire to explore, curiosity pulling at his heart. He wanted to see what else there was in the world, and that would require a pair of wings. He stood for as many clutches as he could, and not one of the emerging dragons Impressed onto him. Theo, in his confusion and desperation to try and Impress, studied harder. Worked harder. But no dragon so much as gave him a second glance. It slowly became apparent that there was no use in getting excited for Impressing. The establishment would want him to join a Wing, and the closest he'd get to freedom was being a Searchrider. Still, it was better than being ground bound, and so his training continued. The final straw was when he Stood for Nornth's maiden clutch. Out of 15 eggs, not a single one Impressed to him. And with his birthday rapidly approaching, he knew he would not make it to another Clutch. So he had two choices: either accept his fate as a dragonless member of the Fort, or move to an entirely new Weyr and hope he Impressed there. Needless to say, he requested a transfer to Semeca as soon as physically possible and started packing what little he owned. While getting to Semeca would be a trial, Theo was determined to see more of this world, explore its wonders, and maybe find something new for everyone to benefit from. What color/s does your character want? : He doesn't really want anything specific but he would prefer a male dragon if possible. Do you/your character have any personality preferences or concerns? : He wants a dragon that's willing to try and understand him, even if he's weird to the rest of the planet. Do you/your character have any other preferences or concerns? : I would like him to actually Impress before he ages out. Why do you think these choice/s would be a good fit? : He wants a mind he can relate to, one that will be willing to go with him to the ends of Pern and back, if needed. And he wants this so that maybe, just maybe, he can feel less alone in the world. Do you have any preferences about the conditions of your character’s impression? : please let him Impress dead last if possible. Are you alright with your character getting hurt? What injury level is acceptable/what should be avoided? : Minor injuries are always ok, but nothing life changing if possible. Is there anything you will ABSOLUTELY NOT accept? : He's ok with anything but he really doesn't want a dragon that will be difficult for him to manage activity wise. PERSONALITY: Mithra is a cheerful creature, always sounding off and making his opinions known to those around him. He's easily bribed with all manner of food and shiny things, and generally needs to be kept busy if one wants him to be quiet. He's pretty good at recalling faces and names, and will trill in a specific way for his owner, and only his owner. Mithra is not a fan of tricks, but will do anything for a bite of meat. He also has a strong attachment to whatever he thinks is his, be it socks, books, whatever he can feasibly carry. Things will go missing if he takes a liking to them, and he holds no remorse about defending his things if people try and claim them.